Have you been dreaming about a classy and elegant vacation that takes you back in time? Take a look at today’s hotel deal and you might have your wish. 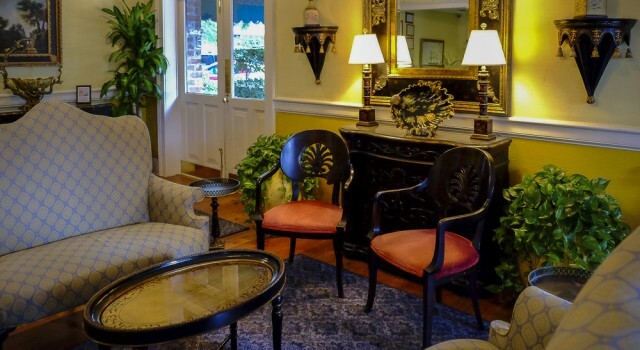 For a short time you can get rooms at the East Bay Inn Savannah from $140 per night and save big on this historic boutique hotel compared to regular high season rates. 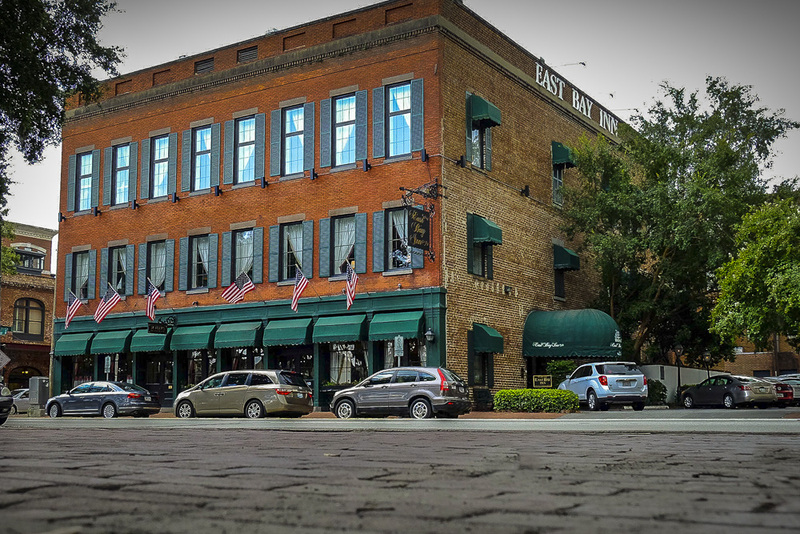 East Bay Inn is a wonderful 4 star boutique hotel in the historic district of Savannah. 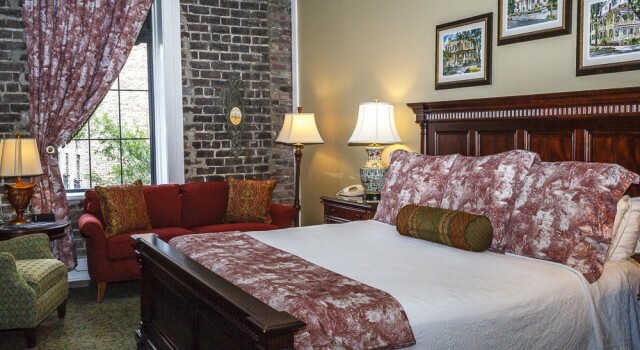 The hotel is close to various must see attractions, including the iconic River Street, The Pirate’s House, Dolphin Magic, Old Fort Jackson, The Ships of the Sea Museum and more. 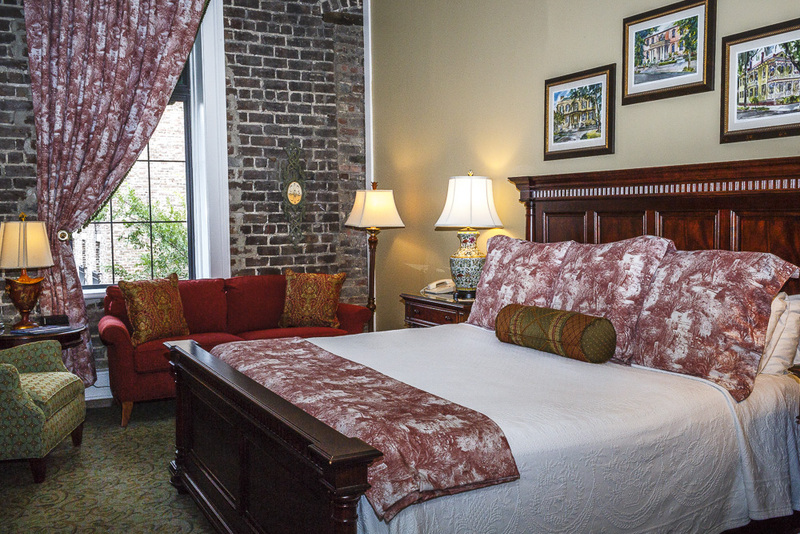 You will love the elegant rooms and suites of the Savannah hotel, filled with antiques and having that classic 100 year old atmosphere. The accommodations of East Bay Inn have king or queen beds, radio alarm clock, antique furniture and decor pieces, individual climate control, bathrobes, CD player, safe in the room and so on. 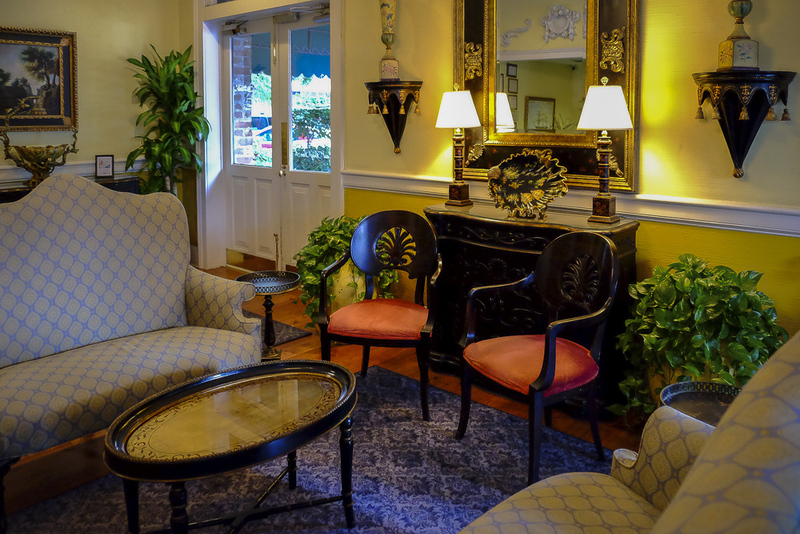 The parlor of the hotel becomes the venue for the evening receptions of East Bay Inn, every day. Between 5:30 and 7 PM guests of the hotel can meet, talk and enjoy the drinks and hors d’oeuvre provided by the staff. East Bay Inn also offers turn down service and free bottles of water at the front desk. This is a pet friendly hotel, so up to two of your furry friends are welcome to join you in your room, though, for a $50 extra pet fee. 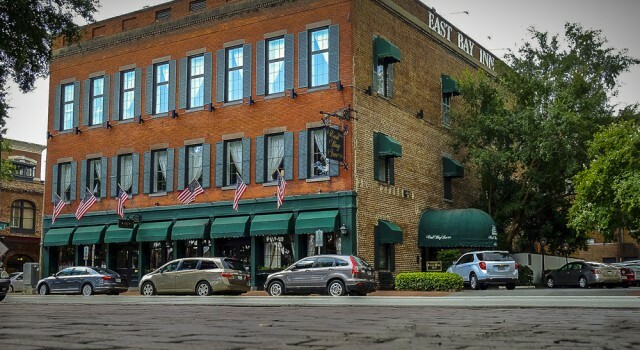 East Bay Inn mixes classic elegance with modern comforts perfectly, it has the perfect location, some of its rooms are pet friendly, the staff is super friendly and can help you book ghost tours, dinner tables and all you want! Would you prefer to stay in a more modern hotel while in Savannah, or are you looking for cheaper accommodations for your trip? Even if you just want to browse some more deals, use the box below for a little price comparison. Simply select travel sites you want to compare, add check in and check out dates and hit the button to find many other Savannah hotel deals.